Designed as a home for the creative life of the University of Chicago campus and the city of Chicago, the Reva and David Logan Center for the Arts is a partner, resource, and catalyst for developing deeper cultural networks and richer creative projects citywide and beyond. The Logan Center is a place where boundaries dissolve and artistic work is amplified through a web of collaborative partners. More than just a building, it is an innovative hub for arts education for UChicago students and Chicago-land students and families, a platform to showcase today’s most innovative creators across all media, and a locus for impactful and collaborative artistic Innovations with partners in nearby South Side communities and across Chicago. The Future of the Arts at the University of Chicago—a 2001 report authored by faculty, students, and staff—made several recommendations for elevating the arts at the university. One central recommendation concerned the creation of a multidisciplinary center for the arts. Little more than a decade later, the Reva and David Logan Center for the Arts is fully operational as a vibrant home for the study, practice, and presentation of arts at UChicago. On May 3, 2007, the University of Chicago made a historic announcement: David Logan, AB'39, JD'41, and his wife Reva and their sons and grandchildren had generously committed a $35 million gift to support the University’s Center for the Creative and Performing Arts. Not only was this one of the largest single donor gifts to the University, it is also believed to be both the single largest cash gift to the arts in the city of Chicago and one of the largest gifts to support a university arts building in the United States. Five years after the Logan family gave their record gift of $35 million, the Logan Center for the Arts celebrated its grand opening. The three-day festival celebrated the opening of the Reva and David Logan Center for the Arts, a hub for the vibrant arts scene at the University of Chicago and a destination for the South Side and greater Chicago. 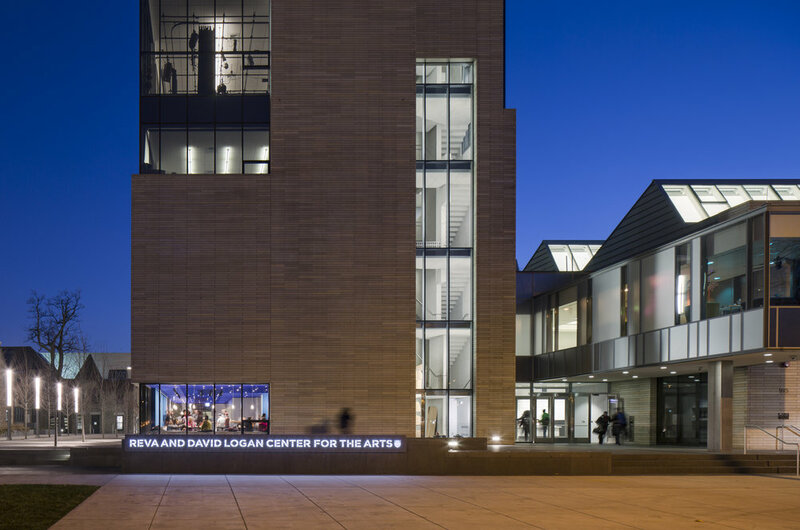 On October 11, 2012, the University of Chicago dedicated the Reva and David Logan Center for the Arts. Since opening the Logan Center's doors, we have engaged over half a million artists, students, faculty, youth, neighbors, and arts enthusiasts. The Reva and David Logan Center for the Arts is a multidisciplinary home for teaching, practice, exhibition, and performance at the University of Chicago.